Our European friends Atelier Ciseaux are releasing a limited edition copy of To The Ground, a 7″ featuring the tracks “To The Ground” and “The Mouth Of Sky” (MIDI Strings). As with all Atelier Ciseaux mixes, this one does not disappoint, and they’re proving it to you by offering the whole thing for stream, below. The artwork is designed by Phil Elverum himself, and the release is limited to 300 copies. After the records were distirbuted, Atelier Ciseaux asked fans to take photographs of where their copy of To The Ground ended up. Scroll over the image above to see some examples, or see the rest on Armour & Discipline. 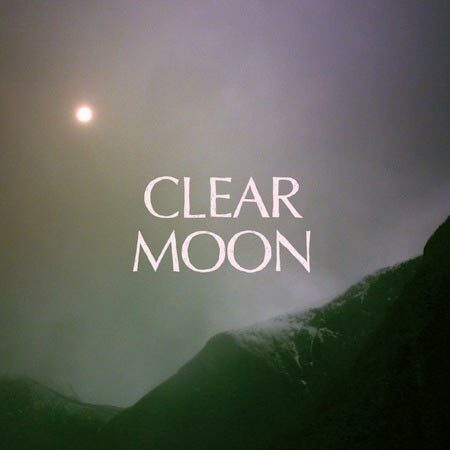 Mount Eerie’s latest record, Clear Moon will be released on his own label, P.W. Elverum and Sun, on May 22nd, 2012 in digital and LP format. Themed after “place/magic”, the record has some fascinating stories and vibes behind it — which you can read about below — and will be followed up later this year by a companion full-length, Ocean Roar. Stream the first single from the album, “House Shape,” below. For over thirteen years Phil Elverum has been releasing beguiling records from and about the Pacific Northwest, first as the Microphones and since 2004 as Mount Eerie. The thread has sometimes been challenging to follow, meandering into weird EPs and live experiments, but there have always been punctuations of cohesive sound and idea, made giant; The Glow pt. 2 (2001), Mount Eerie (2003), Lost Wisdom (2008), Wind’s Poem (2009), and now Clear Moon (to be followed later this year by its companion album, Ocean Roar). After all the world-touring that followed the release of Wind’s Poem, Phil Elverum has spent 2 years establishing a new recording studio, “the Unknown”, in an old de-sanctified church in Anacortes, Washington. These 2 new albums, Clear Moon and Ocean Roar, are the first Mount Eerie recordings to be released from the new old space. You can hear the giant wooden cathedral room in these songs. Vast echo, resonating gongs, impenetrable walls of thickness, and always a voice cutting through the fog, moon-like. The sound is not lo-fi as it is sometimes called. It’s also not hi-fi. These are just crazy recordings, bigger and deeper than any real-life fjord. It’s 100% analog, and it is a sound that can only come from 15 months of studio solitude, crushing tape, riding waves of fake strings, finding new angles on “intensity”. The music of Popol Vuh was inspirational, as well as explorers from black metal such as Menace Ruine, Nadja, and others. Contemporaries in theme can be found in the heavy sacred regionalism of Olympia’s Wolves In The Throne Room. Ultimately, this is music on its own island, unlike anything else; a break in the clouds and a view of a hidden new landscape.